My son is a good student but like most new writers he needs to work on his fine motor skills. He enjoys writing now but I still like to sneak in some fine motors skills. I do this with activities he loves such as rhyming. 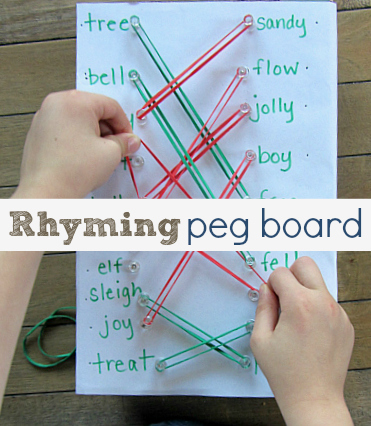 This rhyming activity uses novelty and interaction to keep kids interested. The rubber bands and pegs are great because it takes a lot of patience and fine motor skills to carefully place them on the correct pegs. This was just enough of a novelty for my son to be eager and interested even after a long day at school. Gather your materials. 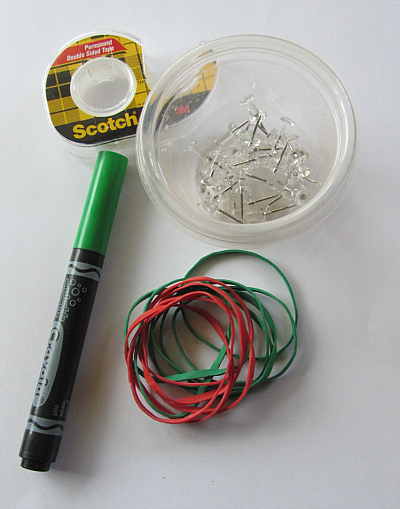 You will need a shoebox or other sturdy box (we used our Kiwi Crate), push pins, elastics, a sheet of paper, glue stick or double stick tape and a marker. *Before doing anything make sure that the push pins are secure when you push them into your box. 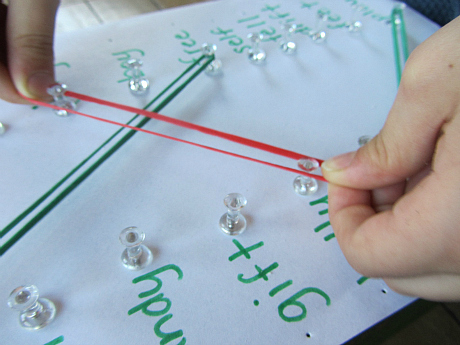 Test how far apart you can place the push pins and stretch your elastics so they stretch. 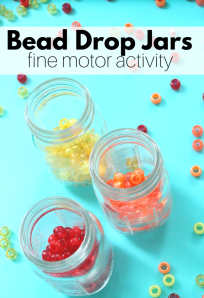 But make sure they aren’t so tight that they pull the push pins out and turn them into projectiles. 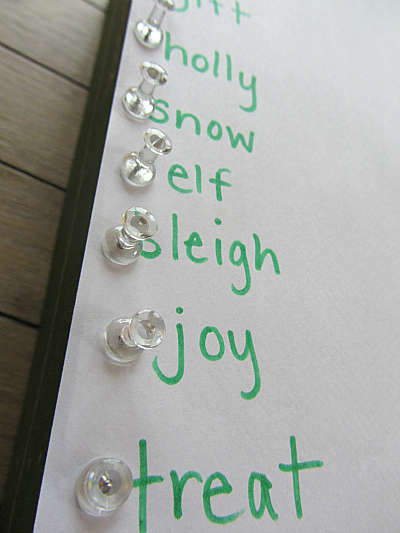 Write out a list of words on the right side (we did Christmas themed words but obviously do what works for your kids). 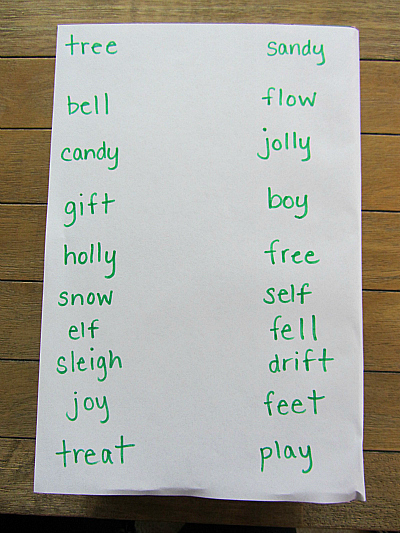 Write a second list on the left of rhyming words. 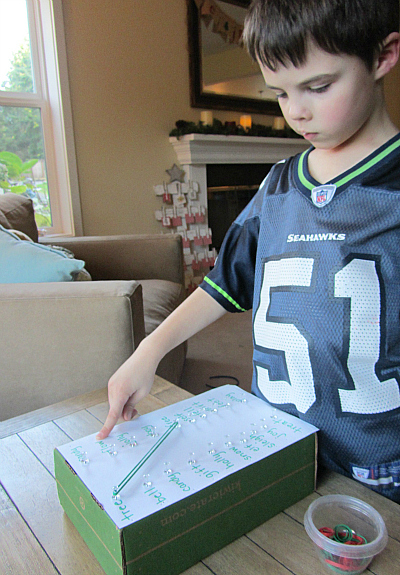 Tape or glue the list onto your box. Add push pins. Remembering to keep them not too far apart. 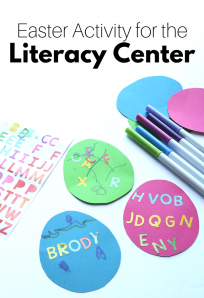 For more fun preschool and kindergarten age activities, make sure to follow me on Facebook! If you did it with dry erase surface, you would not have to make multiple boards. You could just change the words. Smarty Pants! 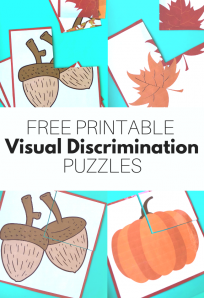 I love this adaption – great for classrooms. Super-cute. I love the holiday words:). So great. I was thinking the same thing about dry erase or a wooden board with nails & chalkboard paint. This can be used for so many learning activites. Thanks for the awesome idea. Great idea, can also be made with a pocket chart to change words as needed. Will use in my class. Thanks for sharing. 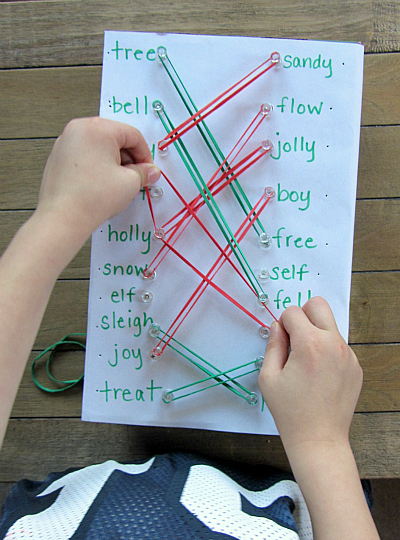 What a fun interactive idea to practice rhyming, will try with my Kindergartener.